What are Silver Flex Membrane Switches? Silver Flex membrane switches are the most common construction for flexible, custom membrane keypads. It is also the most popular membrane switch construction due to its affordability, especially when compared to bulky, costly electromechanical switch assemblies. Silver flex membranes switches feature very thin flexible layers of material, of which some layers utilize screen printed silver and carbon conductive inks, and are separated by an adhesive layer. How are Silver Flex Membrane Switches Constructed? 1. Graphic Overlay – Polyester is usually the material of choice due to its superior chemical resistance and flex life compared to polycarbonate. Pannam can either digitally print, screen-print, or employ a combination of both methods to ensure you get the right colors, textures and finishes your design requires. 2. Overlay Adhesive – This adhesive layer bonds the graphic overlay to the top circuit layer, and is typically an acrylic adhesive. 3. Top Circuit Layer – This is a 0.005″ – 0.007″ heat stabilized polyester printed with silver-filled electrically conductive inks and also dielectric inks. 4. Circuit Spacer – This layer separates the top circuit from the bottom circuit so the switch remains normally open until the keypad is pressed. The circuit spacer is a polyester spacer with adhesive on both sides. 5. Lower Circuit Layer – This is a 0.005″ – 0.007″ heat stabilized polyester printed with silver-filled electrically conductive inks and also dielectric inks. This layer terminates as a flexible tail that serves as the interconnect to controller PCBs or other electronics. 6. Rear Adhesive Layer – This adhesive layer bonds the entire membrane switch package to the product enclosure, housing, or to a rigid support panel. Pannam can specify the appropriate adhesive type and thickness to bond your membrane keypad to your equipment. 7. Rigid Support Layer – This optional layer can add structural integrity to the membrane switch assembly. What are the Benefits of Silver Flex Membrane Switches? Extremely thin construction saves precious design space. Low cost, especially when compared to bulky, costly electromechanical switch assemblies. Sealed construction is resistant to moisture and contaminants. Low-profile surface can be easily cleaned. What are the Silver Flex Membrane Switch Design Options? Set Your Equipment Apart from Your Competition. 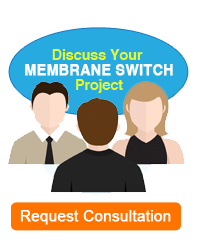 Contact Pannam now to learn more about the various constructions and product features we can offer, and learn how Pannam can customize your membrane switch to meet and exceed your unique application requirements. 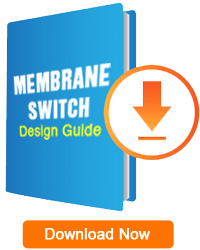 Visit our Product Gallery to learn more about the various constructions and product features we can offer, and learn how Pannam can customize your membrane switch to meet and exceed your unique application requirements.